Staying at a bed and breakfast can be romantic on its own. But if you'd like to add a little spice to your getaway, consider bringing some of these items to make your stay even more romantic. If you are feeling the need, then getting away to a romantic B and B is here to answer your call. Bed and breakfasts have long been the accommodation of choice for couples looking for a cozy romantic refuge. Nicely adorned comfortable rooms, home-cooked meals and friendly acquaintances calm your nerves and allow you to breathe again. Romantic escapes at bed and breakfasts, including inns which offer special romantic packages year-round for those special times. Great for your honeymoon, an anniversary, or just a weekend away from the kids. The list below features the best romantic bed and breakfasts we have found across the United States. 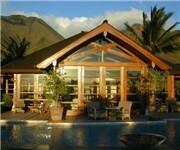 Ho'Oilo House - Lahaina, HI – Nestled in the West Maui Mountains, this quiet, private Bed & Breakfast offers incredible views of the Pacific Ocean and islands surrounding Maui. Located on the popular west side of the island, we are just minutes from the historic whaling town of Lahaina and the Kaanapali resort area. Beaches, championship golf, shopping, hiking, swimming, snorkeling, fabulous restaurants and dozens of other activities are just minutes away from Maui's most luxurious B&B. Adele Turner Inn - Newport, RI – Newport RI's Quintessential Bed And Breakfast - Named one of America's Top 10 Most Romantic Getaway Bed and Breakfast Inns, Adele Turner sits quietly tucked away in one of Newport, Rhode Island's most historic in-town neighborhoods, amid 2 and 3-century-old homes. Framed by 27 distinctive round-top windows, the elegant Victorian was built in 1855 on the first gas-lit street in America, and is on the National Historic Register. Ivy Lodge - Newport, RI – Experience Newport's enchanted Gilded Age at historic Ivy Lodge. Located in Newport, Rhode Island's mansion district off famed Bellevue Avenue, The Ivy Lodge is just a short stroll to the mansions, downtown Newport, The Cliff Walk and the beaches. Period antiques and victorian accents throughout its rooms complete this unique home. The richly-detailed oak walls and fireplace hearths provide the quintessential Newport backdrop for a memorable experience in the City by the Sea. Savannah Beach Inn - Tybee Island, GA – The inn, the island and the beach was meant for relaxation. Peaceful, quiet and away from the tourists. Listen to the ocean on the porch swing. Close your eyes and relax. The lounge, hall and dining rooms have the original tin ceiling, heart pine floors, pocket doors, windows and fireplaces. Catch the breezes on the porch which wraps around the ocean side of the inn. 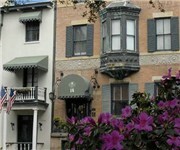 Ballastone Inn - Savannah, GA – Escape for an embellished romantic getaway vacation to yesteryear at The Ballastone Inn... the historic district's most celebrated luxury Savannah, Georgia bed and breakfast. Rejuvenate with a weekend getaway to Savannah - a top destination city... and to Ballastone, Savannah's top rated bed and breakfast. It is chosen year after year as Savannah's Most Romantic Inn by Savannahians who know best. Discover why Frommer's 2005 travel guidebook names our luxury Savannah bed and breakfast inn the best place to stay in Savannah, why Andrew Harper embraced the Savannah small luxury hotel for his 2005 "Hideaway of the Year" Grand Award. Swann House - Washington, DC – Swann House Bed and Breakfast welcomes you to Washington, DC with well-appointed, warm and inviting guestrooms and suites. Our Washington, DC B&B makes its home in a circa 1883 mansion enveloping you in the grandeur of a bygone era while offering all the modern conveniences necessary for today’s traveler. Crystal chandeliers, elaborately carved fireplaces and original plaster moldings reflect just a portion of the nineteenth century craftsmanship that can be seen throughout our award-winning Washington, DC Bed and Breakfast Inn. Mansion At Judges' Hill - Austin, TX An Elegant Austin, Texas, Boutique Hotel built back in 1900, the historic Goodall Wooten House is now home to Austin’s premier luxury boutique hotel and relaxed gourmet dining restaurant. The re-invention of this architectural masterpiece has created a plush haven where guests can retreat from the bustling streets of downtown Austin. Uncompromised comfort coupled with legendary Texas hospitality makes for a beyond boutique experience at the Mansion at Judges’ Hill. Mill House Inn - East Hampton, NY – The Mill House Inn is a luxury Bed & Breakfast providing fine lodging & hospitality in the historic village of East Hampton, NY. Our beautiful rooms, spectacular child & dog-friendly suites, the best breakfast in the Hamptons and our dedicated professional staff have received rave reviews. Zagat’s proclaimed The Mill House Inn one of the “Top 50 Small Hotels” in the US. Travel & Leisure featured us as “Inn of the Month.” New York Magazine rated us one of the “Top 10 Inns in the Hamptons” and American Historic Inns chose us as one of the “10 Most Romantic Inns.” The readers of Dan's Papers have voted The Mill House Inn "Best of The Best in the Hampton's." 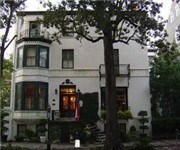 Foley House Inn - Savannah, GA – The elegant Foley House Inn bed and breakfast in Savannah, Georgia is made up of two lavishly renovated historic mansions facing the quiet and lovely Chippewa Square. This romantic Savannah Inn is distinguished both by location and historic prominence. This romantic bed and breakfast mansion hotel is located in the exact center of your Savannah Georgia destination journey. Atlantis Inn Luxury Bed and Breakfast - Ocean City, NJ – Discover the finest luxury stay on the island of Ocean City, NJ. Constructed with the highest quality materials from around the world, this Grand Majestic Victorian exudes an ambiance of total European elegance, comfort, and chic sophistication. The Atlantis Inn is the perfect alternative to hotels and motels for Ocean City vacation guests who want to get the most out of their Ocean City vacation or romantic getaway. The Lost Whale Bed and Breakfast Inn - Trinidad, CA – The Inn sits at the top of the bluff overlooking Abalone Cove with a private trail to two miles of beaches and tidepools. Humboldt's finest and most romantic Cape Cod style Inn, voted in 1996 by American Historic Inns as one of the top 10 most romatic inns in the U.S. and whom Sunset Magazine calls" the place to stay in Trinidad. ".